As the media and communication sector becomes ever more diverse and dynamic, degrees in the field of media and communication studies are also growing in popularity. Read our guide to see if this could be the right subject area for you, and to find out about the different specializations and careers paths you could pursue. Did you have your own blog, Twitter account and Pinterest board before most people even knew what those words meant? Are you fascinated by the way a news story gains momentum, an image or video goes viral, or the whole process that goes into getting an idea from script to screen? If any of these applies to you, then you may be heading for a media and communication degree. This relatively young academic discipline once had a lot to prove, but in today’s media-dominated cultural landscape, media and communications have become some of the most relevant, exciting and powerful subjects you could choose to study. What do media and communication degrees cover? Study media and communication and you will face the challenge of keeping pace with the latest trends, technologies and debates. Media and communication degrees aim to prepare students for work in media-related industries, and train them to critically analyze the ways in which the media reflects, represents and influences the world. Media studies courses may vary significantly in their content and approach to the subject, but most offer a combination of practical preparation for various media careers, alongside opportunities to analyze media representations from different perspectives – including moral, political and historical. For instance, as well as gaining practical skills such as film production or copy-writing, students may also have the opportunity to explore issues such as media representations of gender or race, or of a particular culture or political conflict. The slightly broader field of communication studies extends beyond areas typically considered within the “media” domain, to explore human communications in all kinds of environment and context. This includes not only careers in media such as journalism, marketing and entertainment, but also business and management, education, politics, international relations, law and more. Most media and communication degrees accept applicants from a variety of different academic backgrounds. You will, however, be required to demonstrate good grades at your previous study level, alongside a passion for media and communication. You may be asked to attend an interview (in person or via phone/Skype) and to submit an application essay, explaining your motivations, any relevant skills and experience, and your ambitions for the future. You’ll also need to be proficient in the language of tuition, which may mean submitting results of a relevant language test. Courses in media studies and communication studies are typically taught through a combination of lectures, seminars, screenings, various practical activities and assessments, and one-to-one supervision, all of which aim at providing students with a broad understanding of today’s media world. During the first year, most of the modules will be introductory and theoretical. During the following stages of your studies, you will have the option to choose a field of specialization. Tasks and assessments are likely to come in a variety of forms, including exams and essays, class presentations and written assignments, as well as more practical project work, such as film or online content production. If you are interested in digital media and its rapid evolutions, specializing in communications and new media is likely to be the right choice for you. The focus here is on recently developed and developing technologies, such as the use of ‘interactive’ media on digital platforms, and students have the option to take some course modules taught from within the computer studies department. You may learn about digital media design and development, digital methods of data collection and analysis, and related contextual and social issues. A specialization in social media is for those fanatical about this hugely influential recent addition to the global communications sector. You’ll learn about the evolution, ethos and applications of social networks such as Facebook, Twitter, Instagram, Pinterest and Tumblr, becoming proficient in using these platforms not only as an individual but also to represent an organization, product or campaign. As in most media studies specializations, you’ll need to be prepared to constantly adapt your strategies and approach to keep pace with changes in the media available, and in the behavior of your target audience. One of the most popular specializations for those interested in media careers, journalism can be studied as a degree course in its own right, or as a specialization within a media and communication studies course. This field will introduce you to various journalistic platforms and processes, including professional skills such as how to work in a newsroom, how to find sources and how to present a story to the public. Journalism courses are usually very practical, and students will have lots of opportunities to research and present their own news and feature stories, using written presentation or exploring alternatives such as photo or video journalism. A specialization in publishing and editing is designed for those interested in pursuing media careers within the publishing industry. Here you’ll cover topics such as magazine publishing, newspaper publishing, book publishing, and new media. Other useful modules may include business development, publication marketing and distribution, graphic design, copyediting and legal issues. You may further specialize in an area such as children’s publishing, academic publishing or electronic publishing, perhaps benefitting from guest speakers from the industry. 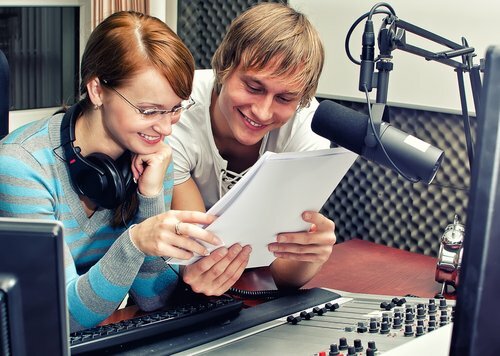 If your passion lies within the field ofradio and TV broadcasting, you’ll be looking for a media studies course which allows you to gain the professional knowledge and skills needed to get a foot onto the ladder in these highly competitive sectors. You’ll learn about each stage that goes into creating a TV or radio program – choosing the right story or concept, filming or recording, finding locations, checking facts and interviewing people, editing and presenting. This course should enable students to develop technical skills in several areas, as well as developing their creativity and artistic vision. A film and media studies specialization is likely to be the top choice for anyone with an interest in working in the film industry – perhaps as a producer, script writer/editor or critic. Courses in this field are again likely to combine theoretical and practical aspects, giving students a range of analytical and professional skills. You’ll gain a broad understanding of the film industry, both past and present; learn about different cinematic styles and genres; and perhaps focus on films of a particular period, culture or theme. You should also gain a range of practical film-making skills, including script-writing, production, directing, filming, lighting and editing. Other topics you may encounter within media and communication studies include: advertising, audience behavior, celebrity culture, comedy, gaming and virtual environments, intercultural communication, marketing, media law, media research, postmodern culture, theatre, visual culture, web design, and youth culture. A wide and ever-growing range ofcareers in media and communication are available, for those graduating with either an undergraduate (bachelor’s) or postgraduate (master’s) qualification in the field. Many of these sectors are highly competitive, and most students will boost their employability by gaining some practical experience alongside their studies. Some courses will include work placements and “live” projects within the curriculum, and most media and communication departments will support students searching for relevant part-time roles or internships. 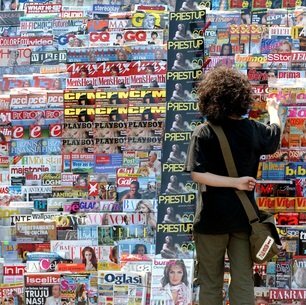 Careers in journalism span a range of media, including newspapers, magazines, websites, TV and radio. Your role will include finding, researching and presenting stories, either through written articles or as part of a broadcast or multimedia content. Most journalists will specialize in a particular field of interest, such as sports, politics, arts or travel. Closely related roles include careers in photography, production, editing, research and camerawork. In order to have a career in copy-writing, you’ll need a flair for written communication, a creative and innovative streak, and an ability to work to tight deadlines. Copywriters produce slogans for advertisements, text for printed adverts and leaflets, radio jingles and scripts for TV commercials. The role includes working with a range of clients to discuss their products and develop campaigns, liaising closely with art directors and designers, briefing production companies and other media professionals, and tracking the results of campaigns. Graduates of media and communication degrees may also enter careers in marketing, employing their understanding of a range of audiences and communication strategies to help promote a product, service or idea. Marketing careers draw on a range of creative and analytical skills, involving planning and tracking campaigns, conducting market research, writing copy, placing adverts, liaising with designers and printers, overseeing the production and distribution of marketing materials and managing budgets. Careers in public relations (PR)are another popular choice for anyone with an interest in media and communications. The main goal of PR roles is to manage reputation – of a person, a company or a product. 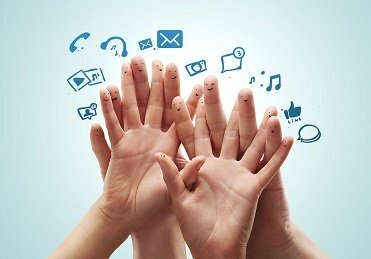 You will draw on the various forms of media and communication you have studied as tools through which to establish, maintain and manage the reputation of your clients. Your role will also include monitoring publicity and conducting research on topics connected to your clients. 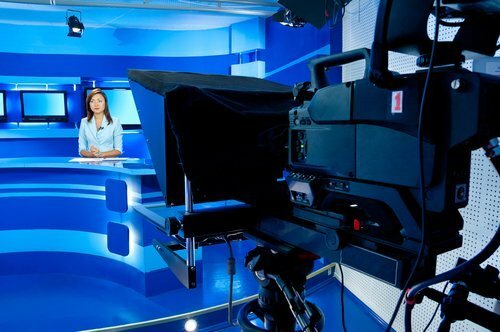 A wide range of media careers are offered within television and film production. You may work as a TV reporter or presenter; become a documentary producer, film director or script writer; or perhaps work in casting, location scouting or film distribution. Alternatively you may pursue roles in the technical side or production, including positions in camera operation, broadcast engineering, sound and special effects, costume design, animation, dubbing, rigging and many more. Choose to work in digital technology development, and you really will be challenged to stay at the fore of a fast- and constantly changing sector. With new digital technologies and services constantly being launched – and quickly becoming absorbed as part of everyday life – the digital world is in a continuous state of expansion and evolution. Roles in this field include media manager, project manager, research engineer, software engineer, interactive designer and others. Graduates of media and communication degrees may also consider roles in areas such as international relations and diplomacy, education and youth work, arts and heritage, market research, non-profits and charities, or in the public sector.